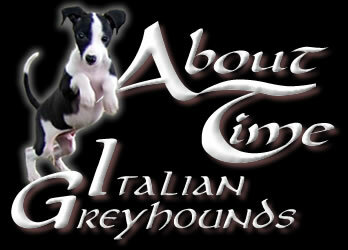 Welcome to About Time Italian Greyhounds! We have just completed in the process of putting up a new and improved website with more photos and information. Enjoy your visit, and don't forget to bookmark our new address!